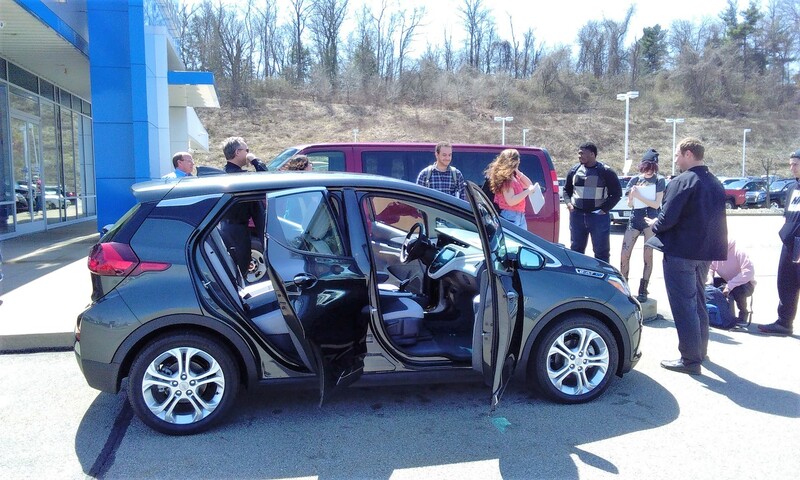 We enjoyed a recent opportunity to show students at Washington & Jefferson College the various EV Infrastructure options near the Park to Spark® HQ. Special thanks to W&J and our friends at Washington Chevrolet for the chance to learn about the Bolt EV and to take a ride. The day included visits to all types of EV charging available within a 10 minute drive radius of the campus. We finished with a presentation and discussion titled “Top 5 Reasons Why You’ll Be Driving an EV… Soon”. See more pictures here. Education and advocacy are part of our services. Please contact us if you would like us to do a similar event for your firm or school.